When DJI announced the Mavic Pro in the fall of 2016, it shipped with a fairly basic set of accessories. It was not until later that they added new tools to get the most out of the drone. 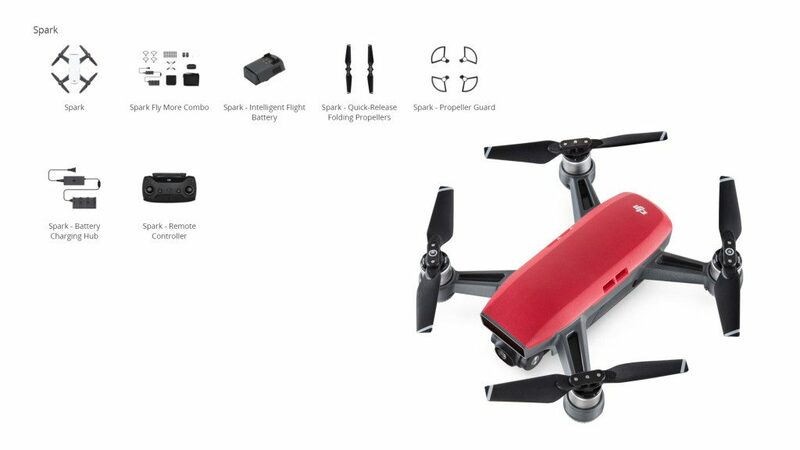 Things were different with the newer mini drone, making available right away a good selection of DJI Spark accessories. For those that purchased the Fly More combo, you’ll be familiar with the first half of our list today. 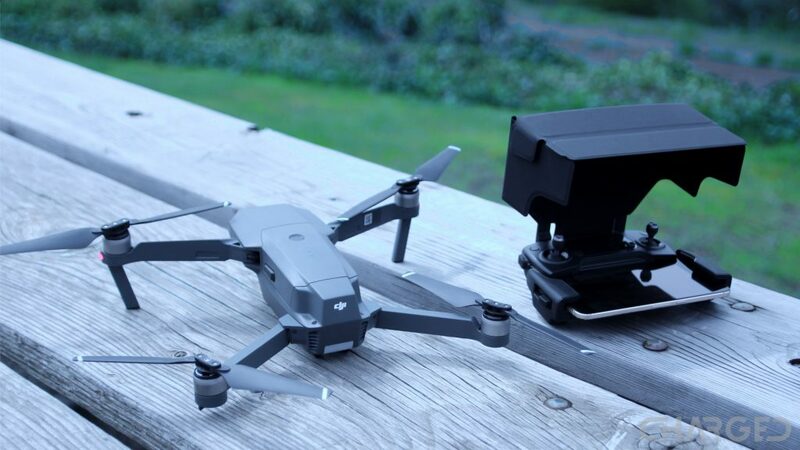 If you took advantage of the sub-$500 price tag, here are some of the items you’ve been missing, and then some additional tools we think will help you better enjoy your DJI Spark. No changes to the accessory list this update, but we’ve updated more than half of the links to better purchasing options, we value your dollar, so here are the best deals we could find. The following accessories are official from DJI, some come with the base drone purchase but they all come by default in the Fly More combo. You would think that a remote control would be standard for any drone, which makes sense, but if your drone can fly via mobile app, a remote becomes optional. DJI Spark is this way, requiring you to buy the bigger combo or individually purchase the remote control. The remote is very much like the DJI Mavic Pro remote, just without the informative built-in display. It offers convenient control over some of the flight features, a far superior piloting experience over the mobile app and vastly improves your operational distance. The DJI Spark remote control is $119 to buy it alone, or included in the DJI Spark Fly More combo. I highly doubt I need to sell you on propellers for your drone, any drone. 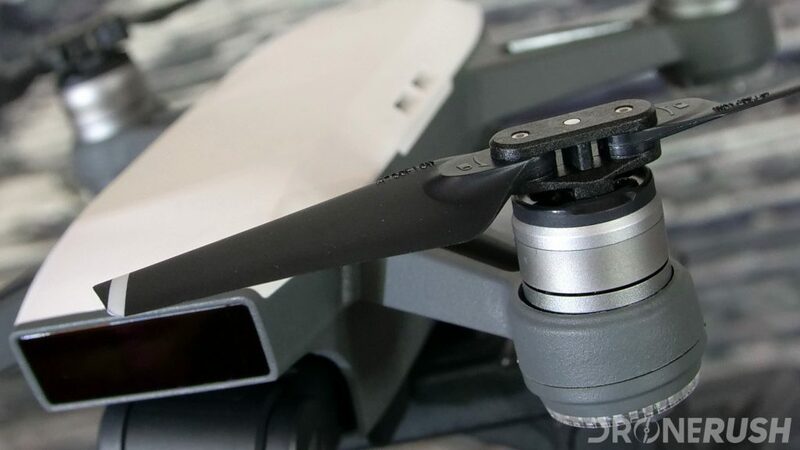 There is, of course, much to learn about them in our quick Science of flight: Propellers article, but for the DJI Spark, there is but one default option. Also, you’ll know when you need to replace your propellers – they’re either good or broken, there is little room in between. Grab your replacement DJI Spark propellers for $11 per pair, or find extras included in the DJI Spark Fly More combo. Each pair includes one clockwise and one counter-clockwise propeller. Flying indoors, or in other higher-risk environments, it is wise to ensure your propellers are not the first ting to come into contact with an object. 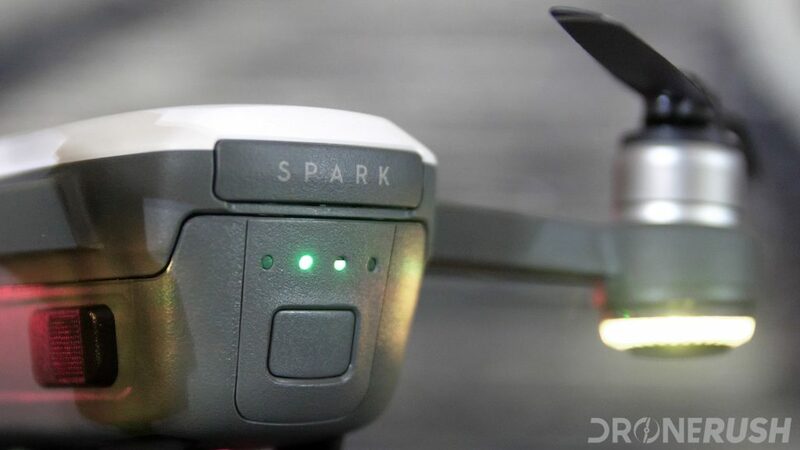 DJI sells simple clip-on propeller guards for the Spark. Four of these come in the Fly More combo. 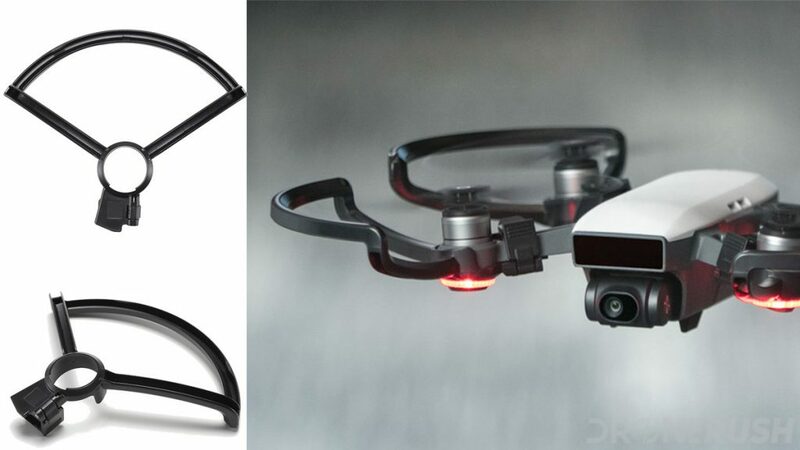 If you need replacement, or did not get the DJI Spark Fly More combo, grab a DJI Propeller Guard for Spark for $20 today, or included in the DJI Spark Fly More combo. The purchase of the Spark alone comes with the DJI single port USB power adapter, but if you get the Fly More combo, the adapter is removed in favor of the USB port on the multi-battery charger adapter. Either way, you might want to have more than one charging station for your drone. 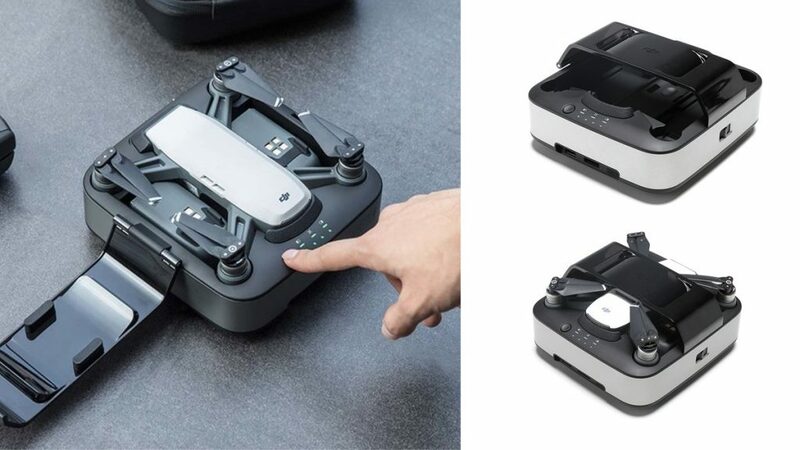 You can pickup the simple USB charger or step up to the multi-battery charging hub with USB port for $69, or included in the DJI Spark Fly More combo. I suppose there is little to say here, two batteries means twice the flight time when you head out. Three batteries, well, you get the idea. Batteries for the DJI Spark will run you $44 each. DJI provides two options for your Spark transportation needs. Your drone will come with the dense foam storage box, which you can buy a small cover that turns this into a bag. Fly More buyers will get the leather shoulder bag. Both fit the drone, a couple batteries, some extra propellers and more. However, only the shoulder bag fits the remote control as well. 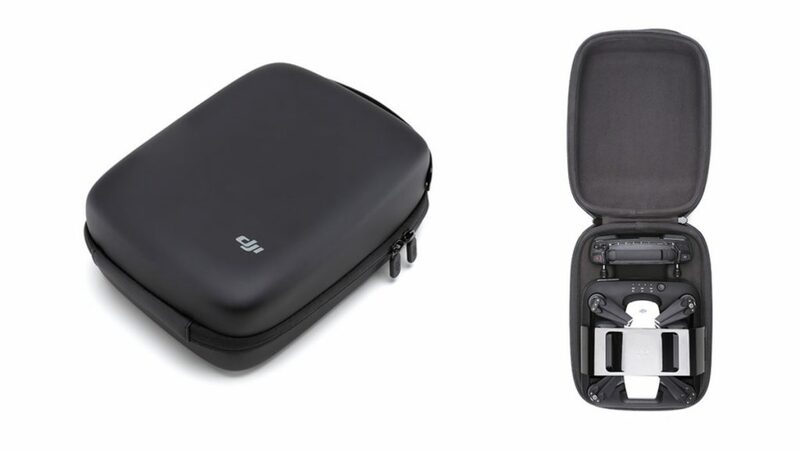 Check out the storage box cover for $10, then look into the leather shoulder bag for $44, or included in the DJI Spark Fly More combo. One of the best features of the Spark is that you can charge it via USB, but the batteries also have external contact points for additional power options. The new Spark Portable Charging Station is a slick tool that incorporates a case, a charger and external USB power into one device. This is a 5,000 mAh battery pack, able to charge “up to three” Spark batteries at a time, plus the remote or your mobile device on the side. The battery on the drone charges first, then the two side slots for additional batteries charge one at a time after that. 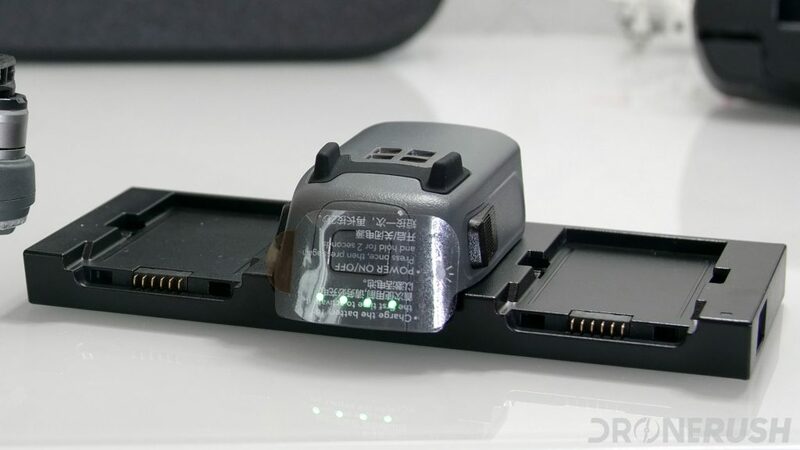 DJI says there is enough juice to charge your Spark battery 3 times – we’re guessing you’ll get two battery charges and a decent top-up of your remote and mobile device. Either way, this is a great way to travel with your Spark – I’d love to see more cases and bags with built-in power, great work Spark team. The DJI Spark Portable Charging Station is $115 to order now, with shipments expected just before Christmas 2017. Better yet, get the Spark charging station plus two batteries for $139. It took me a moment to remember the importance of modularity when viewing this bag. My gut reaction was that this should have just been included with the Spark Charging Station, but then I remembered that not everyone has the remote, and many have a bag already. Nevertheless, DJI has a handy, protective bag available, ready to carry along the new Spark Charging Station and your remote control. I’m sorry, a little mesh compartment for cables and extra propellers would have also been nice on the top side there. Forgive me for ranting, it’s a good looking bag, providing protection and a convenient carry handle. Not a bad deal for $24. 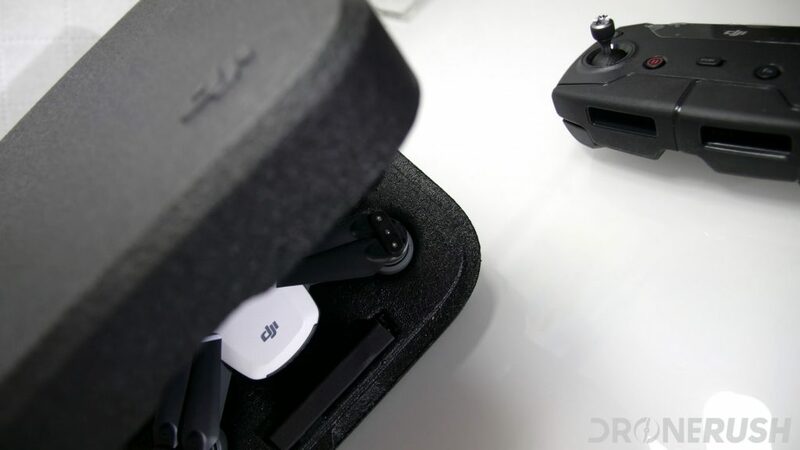 We probably don’t have to mention this, but the following accessory is from DJI, but is not included in the Fly More combo. Actually, it was made for the Mavic Pro, but works just fine on the Spark. Originally sold for the DJI Mavic Pro, the similarities in controller mean you can use the controller sun shade on your Spark controller as well. This is a simple folding half box that slips onto the antenna of the remote to provide some shade for your mobile device screen. Check out the DJI remote monitor hood for $27 today. The flying experience is always taken to the next level when you add FPV to the mix. DJI is doing so with their Goggles these days. No need to jump up to the new Racing Edition for the Spark, the original Goggles are enough to connect in and put the view of the world above you right in front of your eyes. 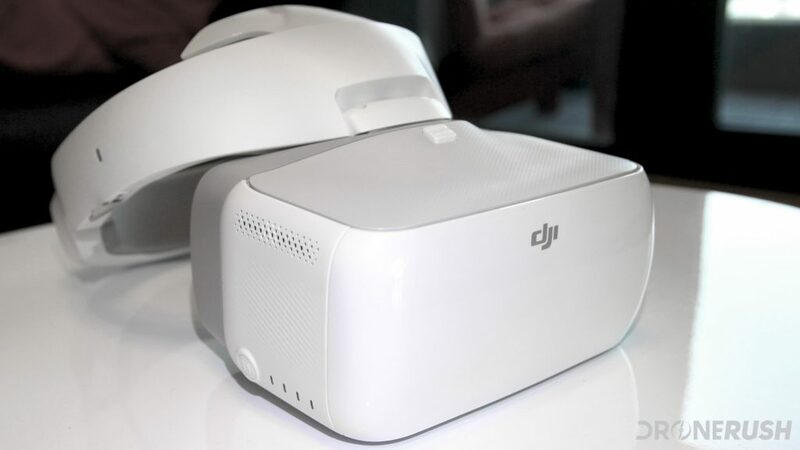 The DJI Goggles were really made for the DJI Mavic Pro, but works with many other drones, not just the Spark. Unlike most drones on the market today, the DJI Spark is able to charge via USB charger. This is great news if you are on the go, as you can pick up an external power pack to extend your flying time for the day. This is where I admit that I wish you could charge the Spark batteries without needing to plug into the drone itself, but it’s better than nothing. 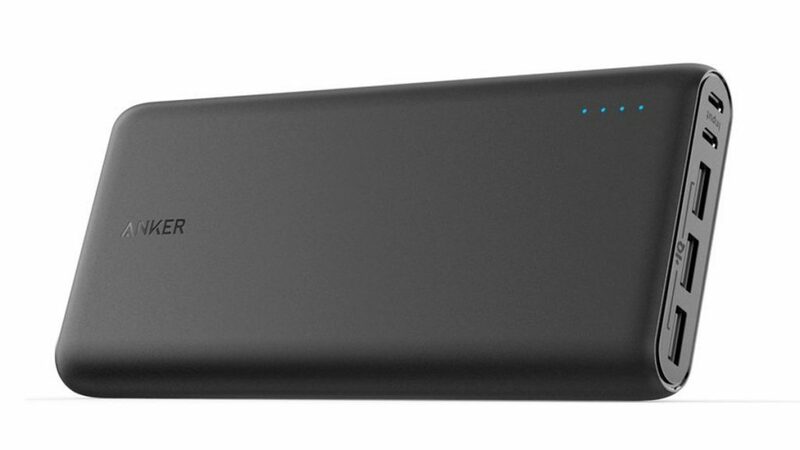 There are many chargers out there, but you might want to look at a larger unit with a faster charging speed, such as this Anker 21,000 mAh unit for $50 on Amazon today. Watch for deals in the $48 range. 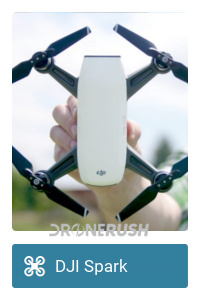 We’re not the only ones that want to use a tablet to fly our DJI Spark, are we? Certainly not. 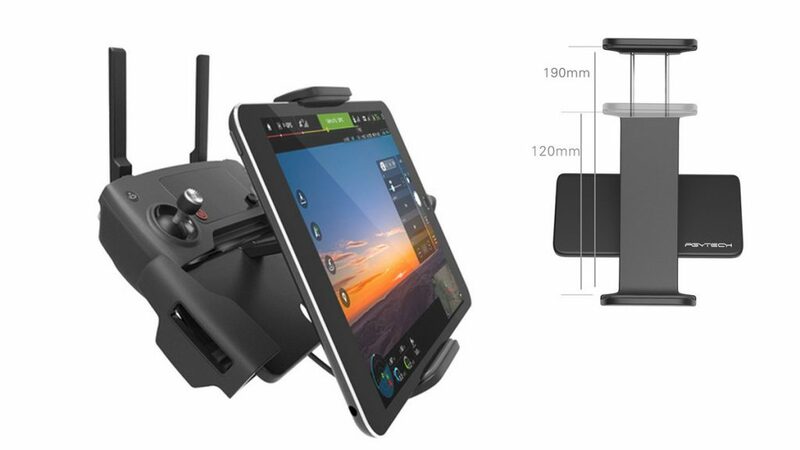 There are many options around that add a tablet mount to the Mavic Pro and Spark controller, we’ll talk about the one DJI is promoting on their site, the PGYTECH tablet holder. It’s simple enough, a base slides into the controller’s phone mount and extends up with a simple tablet sized clamp. You will have to look around the tablet to see the display and buttons on the Mavic and Spark controllers, but none of the buttons or joysticks are physically obstructed. Check out the PGYTECH tablet holder for $30 today. Have you ever gone to the park to fly your DJI Spark? All went well until you needed to take-off from the ground, and there was only grass around you. Spark is short enough that the propellers will contact typical length manicured grass. Maybe your park is different, but my back yard, for example, requires a landing pad or longer landing gear to launch the Spark. We have a landing pad or two in the Best drone accessories list found below. For now, let’s talk landing gear. Again, there are many options out there, let’s look at the CamKix landing gear, just two tubes that quick connect to the propeller arms. Super simple. 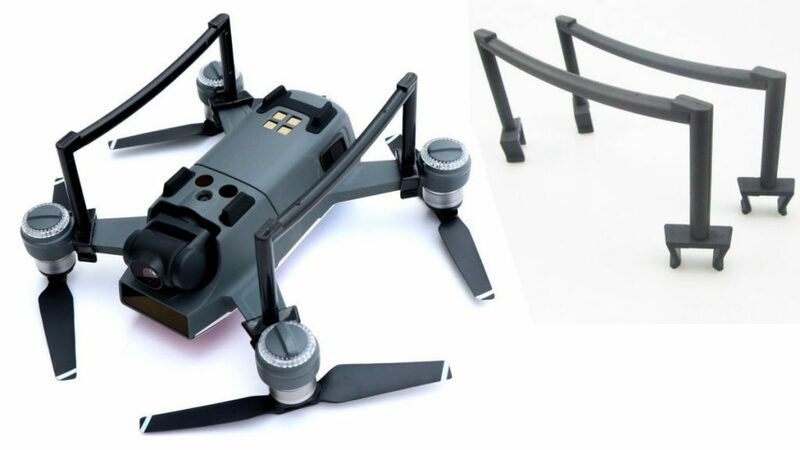 Check out the Anbee Spark landing gear for $8 on Amazon today. We’ve taken some time to explore some of the best accessories for any drone. 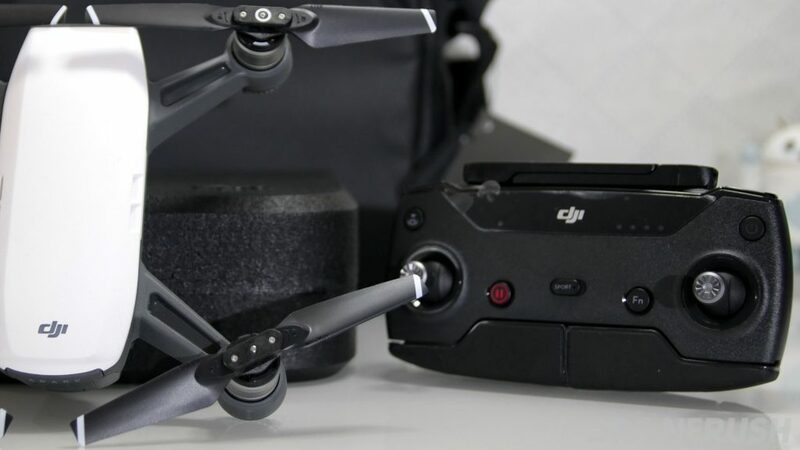 If you are looking for ideas and tools to better your piloting experience, please check out our list of the best drone accessories here. Flying a drone is easy, especially the little DJI Spark. If you are looking for an improved piloting experience, getting the most from this quadcopter, a few additions can make a world of difference. These few official and third-party tools should help you along your way. Some make the drone safer, others extend your flight time, or make the Spark easier to use. Not all accessories are made equal, do take some time to make sure purchases, especially for additional batteries, are from reputable sources. Otherwise, remember that the lighter your drone is, the longer it’ll stay up and easier it is to fly. What is the first accessory you got for your DJI Spark?